The last few weeks have seen the release of at least three films tied to World War II – not the usual summer fare. All three are based on real people and true historical events. The first to open was the excellent German film The Captain; last Friday saw the French film A Memoir of War, based on the book by French Resistance fighter Marguerite Duras; and this week the suspense-filled action thriller Operation Finale hit screens. 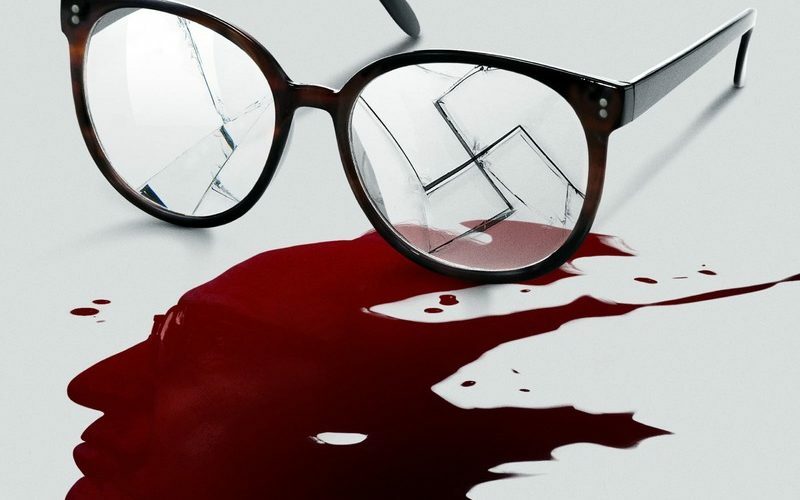 Operation Finale is the most accessible of the group – i.e. it’s more mainstream than arthouse — partially because it is in English but also because it concerns a chapter of history many viewers may already be familiar with, even if they don’t know the specifics. Following Germany’s defeat in World War II, thousands of Nazi war criminals and collaborators fled the country, fearing they would be arrested and tried for war crimes by the victorious Allies. South America provided a safe haven for many of them. Argentina extended an especially warm welcome, due to President Juan Peron’s well-known admiration for Hitler and Mussolini. Peron went so far as to instruct his diplomats and intelligence officers to secure false identity papers and establish escape routes for those fleeing the defeated Reich. Among the most notorious figures to find refuge in Buenos Aires was Adolf Eichmann, one of the key architects of the Holocaust, who oversaw the transportation of millions of Jews and other “undesirables” to the Nazi death camps. Using the alias Ricardo Klement, he lived with his wife and children on the outskirts of Buenos Aires for 10 years before the Israeli Intelligence Service Mossad got wind of his whereabouts. 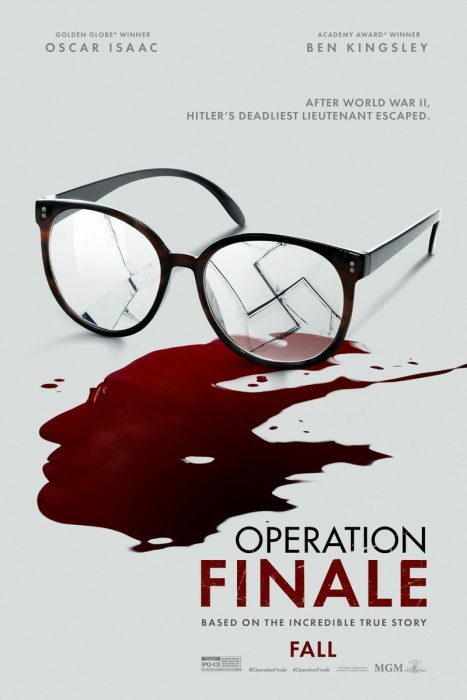 Operation Finale recounts how the Mossad tracked down Eichmann in May of 1960, hid him in a safe-house for nine days (for some reason the film makes it 10 days) and then whisked him out of the country to stand trial in Israel, all while eluding local authorities and paramilitary groups sympathetic to the Nazi cause. Written by British newcomer Matthew Orton and directed by Chris Weitz, the film is based on numerous published accounts — most notably a book written by Peter Malkin, the Mossad agent who actually snatched Eichmann off the street. The film’s primary action and suspense derive from the psychological combat waged between Eichmann (Ben Kingsley) and Malkin (Oscar Isaac). A simmering tension permeates the movie, even for audience members who know their history. This is due in large measure to Kingsley’s dexterous performance as Eichmann. Hannah Arendt famously described the Nazi henchman as ‘banal’ but, in Kingsley’s skilled hands, he is a pure Machiavellian character, effortlessly clever, cunning and manipulative, veering between solicitous and vindictive, charming and cruel. Eichmann must sign a waiver, permitting his transport to Israel to stand trial, or the airline won’t fly him out of the country. The Mossad agents, all of whom would rather kill Eichmann on the spot but are under strict orders to get the war criminal back to Israel to stand trial, must forge some sort of detente with him if they hope to get him to sign, but only Malkin seems willing or capable of engaging in the necessary psychological interplay. It is less a cat-and-mouse game than a cat-and-cat stand-off. Malkin must establish a rapport with a man who displays absolutely no remorse over the millions of innocent people he sent to gruesome deaths, including dozens of Malkin’s own family. Oscar Isaac is an impressive actor, but Malkin’s role in the unfolding drama is less flashy than Eichmann’s and, ultimately, less interesting. We see and feel the agent’s inner tension but the necessity to maintain his composure demands a certain earnestness that, by its nature, can occasionally feel bland. Malevolent characters often elicit stronger responses from audiences who, perhaps, feel implicated in the villain’s deeds whenever we find ourselves amused by their gamesmanship.